eat, drink & be vegan: New Recipes! After getting your requests on which new recipe to post, seems to be a bit of a toss up between the Strawberry-Gogi Muffins and the Black Bean, Sweet Potato and Quinoa Croquettes. What to do, what to do? 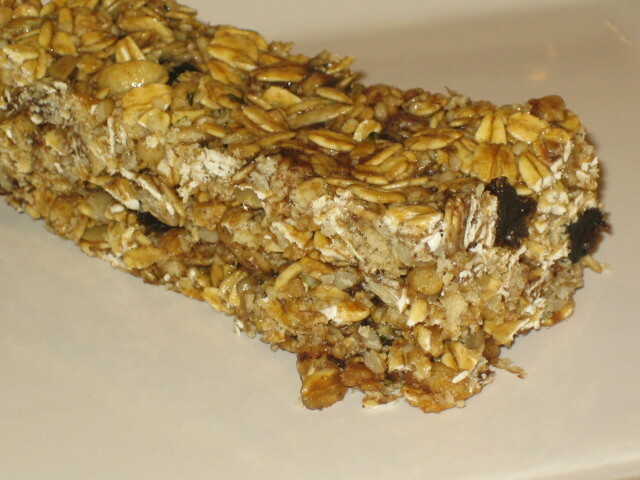 Most granola bars are not that healthy. There are healthier varieties, but still, some of us want to create our own healthy granola bars that aren't too sweet and that we can customize with some additions of spices or switch up of dried fruit, etc. I've been asked numerous times for a proper granola bar, and so here you have it! 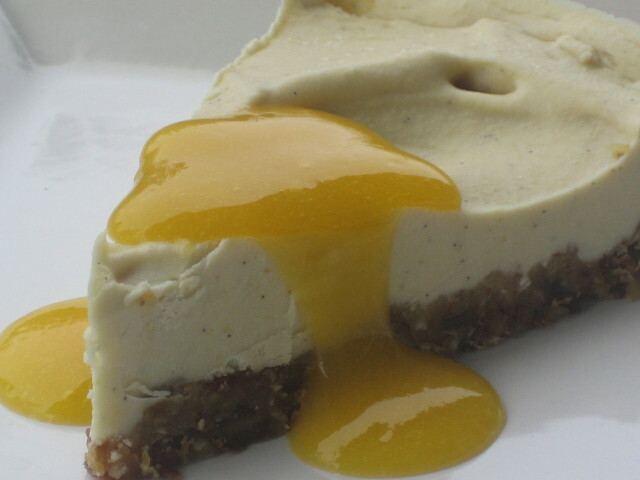 Raw cheesecakes trump any tofu/tofutti version (imo), and I wanted to come up with my own signature raw cheesecake. This one combines the tang and flavor of both lemon and lime juice, and has a tropical twist with coconut in the crust and a fresh mango sauce for serving. It is heavenly, without an ounce of dessert guilt! Lentils, I love thee! Beans are the staple of our diet, along with whole grains. 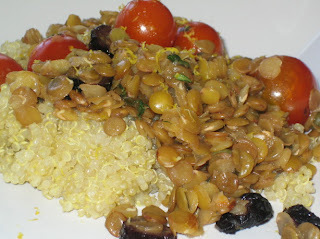 Lentils are a favorite of mine, they cook quickly, taste fresh and clean, and are easy to digest. What makes these lentils even better is infusing them with fresh lemon and herbs during cooking, and finishing the dish off with tomatoes, pine nuts, and dry olives. Delish! Thinly sliced potatoes bake golden and tender on top of sweet sauteed fennel and white beans simmering in a white wine broth. This is a personal favorite - yes - because of the fennel. But, come on, those golden potatoes. Okay, so let's get started with the recipe for the Black Bean, Sweet Potato and Quinoa Croquettes with Pumpkin Seed Chipotle Cream. Hope you enjoy - let me know! The croquettes sound great and I will try the recipe but what I really want is the lemon pie - yum! Thanks for the recipe. You know, it sounds like you have enough recipes ready for your next book...just a thought! I hope all is well with you Dreena. The croquettes...Drool! Can't wait to try them! Yum yum yum! Hey! I just started a linky over at my blog Breastfeeding Moms Unite! where I post about breastfeeding and vegetarianism. If you'd like to link up there that'd be very cool. yippee! Thanks, Dreena! I am really lokoing forward to these! Those recipes look amazing. I am looking forward to your next book! Lovely lovely. I am hungry now! I just bought your ed &bv book today and it is my first vegan cookbook. I became a vegetarian about 15 years ago but just made the switch about a month ago to vegan. So far one of the hardest things for me is figuring out what to have to go with things. Any suggestions on a side dish or 2 for these? Isn't that quinoa with the Lentils? Visit our website to order our Decadent Vegan Cake Baking Mixes! Are these going to be featured in the 'Eat Drink and be Vegan'? Looking forward to that lentil recipe- looks mouthwatering! 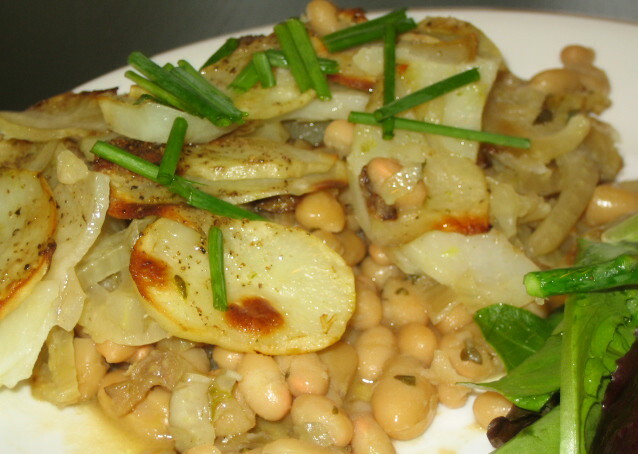 Your lentil pie and scalloped potato recipes in Vive le Vegan are the ultimate comfort foods! Always make them together!